Skunk is arguably a cute, small mammal. The black-and-white fur on its coat resembles that of a panda, perhaps nature’s most charming animal. A person with no knowledge about skunks might even feel that the animal would make a perfect pet. Skunks also have a pretty reserved demeanor and will try to avoid conflict as much as possible. But don’t let the shyness and docile nature fool you. When a skunk feels threatened, its immediate reaction is to raise its bushy tail and make itself look bigger. In fact, they have one of the most successful defensive mechanisms in nature – they release a pungent smell. And you don’t need to be near the skunk to feel its reeking effects, as the animal can accurately spray the liquid from at a distance of 10 feet. To make matters worse, skunks usually aim at the eyes when shooting their musky fluid. While the emission doesn’t cause complete blindness on humans, it may cause some burning irritation in the eyes. Go any closer and you might end up with a nasty bite – skunks have a pretty sharp set of teeth. Such bites can ultimately become infectious. In fact, skunks have been known to carry rabies. All this being said, you’d probably be quick to judge how they’re nasty creatures that you want to know how to get rid of skunks. However, having them around your home can actually be beneficial, and this can be attributed to its diet. Despite being technically classified as a carnivore, a skunk’s diet is composed of both animal and plant matter. According to the Evergreen Animal Protective League, as much as 70% of a skunk’s diet is composed of bugs which are harmful to humans. They’ll consume almost all types of bugs ranging from beetle larvae to grasshoppers and bees. During the winter, when the insect numbers are at their lowest, skunks resort to feeding on nuts, fruits, and veggies. Mice and rats may also feature on a skunk’s winter menu. It’s during this period that skunks raid bird nests to steal eggs – another tasty winter delicacy. But these are the items that skunks feed on while in the wild. What if they get into your neighborhood? When they enter areas where people live, they try to maintain their usual diet. Bird eggs are replaced by chicken eggs, while pet rabbits take the place of rats and mice in the menu. Chickens are also not spared and may be killed when they come in the way of the skunk and the tasty chicken eggs. Skunks are also organic garbage disposal experts, and will go through the trash to fish out any tasty leftovers you might have discarded. 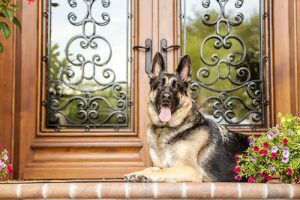 They will shamelessly steal your pet’s food and bird seeds as well as consume any decomposing fruit that might have fallen from a tree in your backyard. Keeping your yard clean will reduce the chances of having these annoying and smelly mammals around. 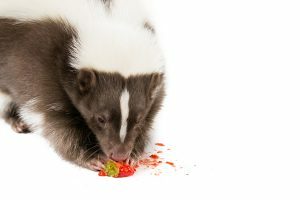 While skunks do have some few benefits (like eating rotten fruits in our yards), they don’t outweigh their negative effects. So you should look for ways to getting rid of them. Keeping a guard dog on yard: Skunks generally avoid homes that have guard dogs and will flee when they hear the barking. This means that man’s best friend can effectively protect your home from a skunk’s invasion. Just hope that your dog doesn’t get sprayed with the foul-smelling musk. Removing items that may attract skunks to your home: These items include garbage, fallen fruits, pet food, compost, and bird seeds. Ensure you feed your pets indoors, and clean up your yard regularly. Moreover, ensure your garbage cans and bags are properly covered. Another popular yet overlooked skunk magnet is a used BBQ grill. Make sure it is cleaned immediately after use. Drain stagnated water around your home: Stagnated water acts as a breeding ground for bugs which attracts skunks to your home. Ensure any stagnated water in your yard is completely drained off to eliminate the risk. Fence your yard: Skunks are generally awful climbers. With a perimeter around your home, you can be sure that you will never have a skunk problem. Use traps: You can also rent or buy skunk traps from your local hardware store to capture these stinking animals. 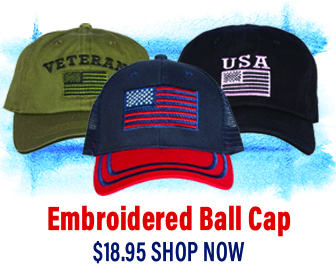 Once you have captured them, it is recommended that you relocate them at least 10 miles from your neighborhood. Patch up all the skunk holes: If skunks have settled under your home, you can fill the holes up to discourage them from coming back. 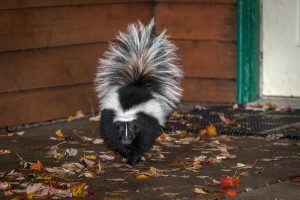 While the thought of your entire neighborhood being turned into skunk homes is a total nightmare, these little creatures do play a role in the balance of nature. Remember, skunks are shy animals. If they are not threatened, they won’t spray you. So try to be docile with them.